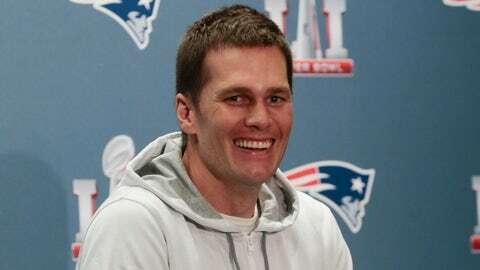 Tom Brady was very busy giving a very serious answer to a question at a Super Bowl press conference on Thursday when a heckler rudely interrupted him. “Hiiii, Tom!” squealed a unseen voice. Brady jumped a bit, but despite clearly being startled he immediately identified the perpetrator: “Marty,” he said with a grin. Listen to your quarterback and go get some rest, Marty. You've got a big game coming up, or something.